One thousand dollar ($1,000) scholarship will be awarded to a deserving student from the San Diego County area. In conjunction with this monetary award, the scholarship recipient will also be recognized at the San Diego Democratic “Painting the Town Blue” Dinner on May 4, 2013. 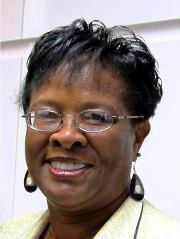 For students to be considered for the 2013 SDDWC Student Scholarship Award in honor of President Emeritus Verna King, completed applications must be returned no later than midnight April 5, 2013. Application form, eligibility requirements, and more details are available here (download PDF). Yes. We believe so. The application deadline for this year was April 5.